Uma bonita e tradicional casa de campo adjacente a uma piscina privada, situada num jardim sombrio e isolado rodeado por hectares de olivais, amendoeiras em flor e belos passeios. A acomodação é composta por uma encantadora casa de campo em estilo característico construída em pedra, com banheiro privativo com chuveiro, e fica no jardim da nossa fazenda. O quarto encantador tem uma cama king size e uma área de cozinha semi-fechada ao ar livre com churrasqueira, pia, geladeira, chaleira e máquina de café. Não há sala de estar interior, no entanto, nós fornecemos duas cadeiras tradicionais de Monchique em seu quarto, se o tempo não for adequado para estar sentado. Existem várias cadeiras no jardim virado a sul com vista para a árvore de noz madura e cem anos vinha de idade. Para aqueles que procuram paz e tranquilidade de um retiro rural childfree, esta propriedade irá fornecer um refúgio de tranquilidade. Para aqueles momentos em que você está cansado de apanhar banhos de sol à beira da piscina nas espreguiçadeiras, você pode querer relaxar ainda mais em uma das redes estendidas a partir da árvore de noz e desfrutar de alguma sombra manchada bonito. A casa de banho é compacto, com chuveiro, banheiro e lavatório. We had a lovely stay in this cottage. It is very calm, with hammocks in the lovely shady garden, and the pool area too, for the sun when you want it. A warm welcome and just the right amount of friendly tips and advice from Jane and Graeham. The cottage is handy for days out - about a half hour from the nearest beach, and there are several sightseeing trips all within a reasonable drive. Our whole holiday was very easy - both relaxing at "home" and visiting places. Perfect! Thank you both for your kind words. We are glad that you had a relaxing holiday and we loved having you stay with us. We hope you'll be back soon. 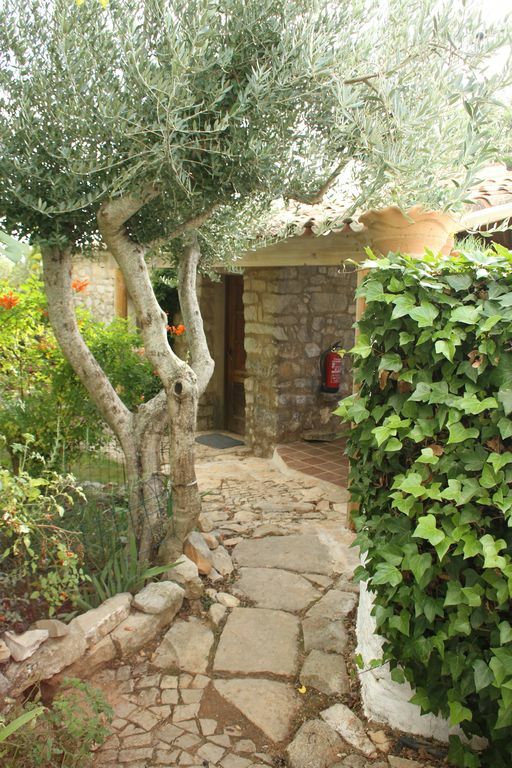 for a few quiet days ,not far off the beaten track, what better than this stone cottage with its own pool just 5 minutes from Loule, and all local amenities although you would not guess from its rural location. Superb hosts. Thank you for your lovely review. It was such fun to have you with us and we had so much in common. We look forward to seeing you again in 2019! The property was exactly as described, very comfortable for two with a superb pool area. The outside kitchen worked well for us, particularly given the wall-to-wall hot weather during our stay. Jane and Graeham were very attentive and hospitable; they took a lot of care to ensure we had a great holiday and we enjoyed an evening with them towards the end of our stay. We loved the area and the local wildlife, which is a particular interest of ours. The immediate area was full of migrant and resident birds and we ventured further afield to the Ria Formosa, to Sagres and to the Alentejo, where the range of birdlife was impressive. We also visited Tavira, Faro and Albufeira, which all have something to offer. Thanks to Graeham and Jane for such an enjoyable holiday; we'd love to return in the spring sometime in the future. Thank you both for your kind words. It was so lovely for us to see your pleasure when spotting alour local bird and wild-life! Thank you for the list of birds you saw when you were here, and I hope that when you return we can offer a few different species. You were such fun guests! The hosts were beyond wonderful. Gave us advice on restaurants and sites to see. We had many enjoyable conversations - had an immediate bond. The room along with the outdoor kitchen was comfortable and met our needs beyond expectations. The pool and surrounding yard were so relaxing. There was fresh fruit to pick and eat, walnuts right off the tree. The dogs and cats were so friendly and greeted us like we were family. We plan to return in 2020. Thank you both for your lovely review. It was our pleasure to have you staying with us, and we were very sorry when you left (as was Charlie!). We are thrilled that you are planning a return visit although sad that we have to wait till 2020. A quiet, cute cottage with an amazing pool. A wonderful rustic cottage and kitchen area. All perfect, we particularly loved sitting around the pool. All well kept, clean and the most friendliest and caring hosts. Lovely, behaved dogs too! Hard to say any more than previous reviews and just as described. Thank you for a super week in Loulé. Thank you for your wonderful review! It was a joy to have you with us, and it was great for us to be able to go to the wedding knowing you were the perfect guests! Have a safe trip home and we hope to see you again next year. We had a wonderful 3-day-stay here.To be honest I didn‘t know what to except. Outdoor kitchen? Hm... but I can truly say it‘s romantic, comfortable, cosy, tidy, peaceful and we can recommend it without a doubt! And I am a picky person. Jane and Greaham are very warm people, you feel in good hands. The Garden is enchanted and where do you have the pool (verry clean) for your own? Thank you Jane and Graeham, it was a perfect stay in your paradies! Thank you very much for your lovely words.. you were wonderful guests, and we are delighted that you enjoyed your short stay with us. Hope to see you again next year! Na vizinha cidade de Loulé pode encontrar um famoso mercado de sábado para que as pessoas vêm de milhas ao redor. Você pode obter quase qualquer coisa aqui. Existe uma galeria de arte local com artistas em mudança, e se sua visita co-incides com o mundialmente famoso MedFest no final de junho, você pode ver muitos músicos nacionais e internacionais por uma taxa de entrada muito modesta.